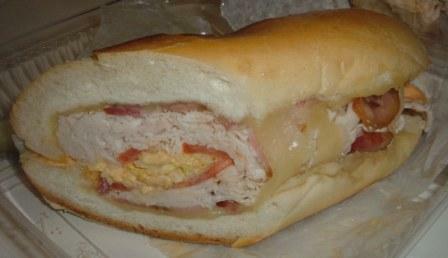 A bad sandwich is like a missed layup, it invokes groans and easily avoidable pain. NYC Food Guy is here to tell you to avoid the #2 Italian Style sandwich at Lenny’s (top) and any sandwich that’s made to order at Todaro Brothers (bottom) on 2nd Ave and 31st street. 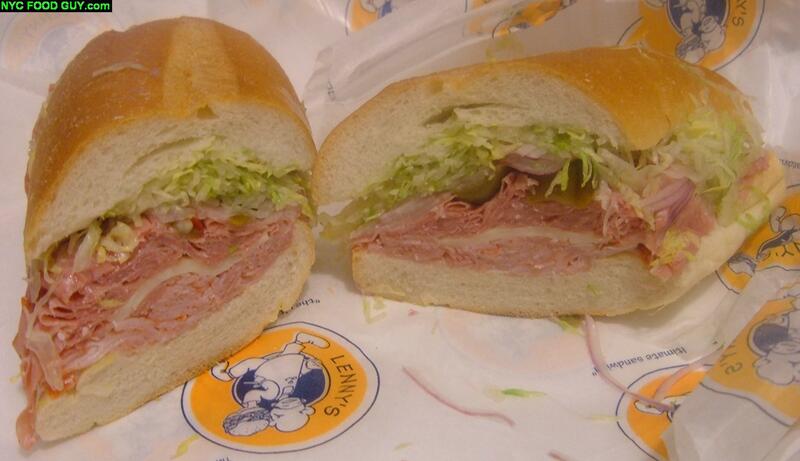 Lenny’s rarely disappoints but the generic genoa salami, cappicola and provolone make their #2 Italian Style ($6.99 sandwich, $7.99 hero) a bad sandwich. Extra points lost for jalapenos over banana peppers. Stick with the G3 or Smoked Chicken Deluxe. Todaro Brothers, an overpriced Italian grocery in Murray Hill, receives my ire because of their inconsistent pricing and careless attitude towards sandwich construction. The roast turkey with lettuce, tomato, coarsely sliced Swiss and entirely too much mayo cost me $12 one time and $9 another. Absurd. Go here for humus, salads (great vinaigrette), cheese and sliced meats, but avoid anything that doesn’t have a set price tag. 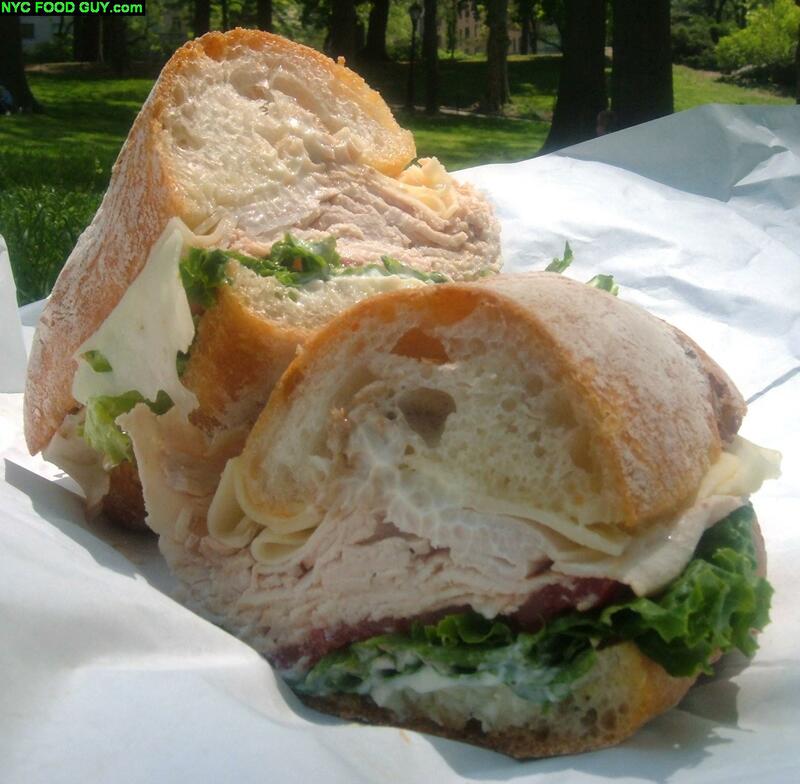 You want a good sandwich in Murray Hill go to Lamazou. Why change it up when I know I’ve found the best? With food, trying a new version of an old favorite ends in disappointment at least 9 out of 10 times. 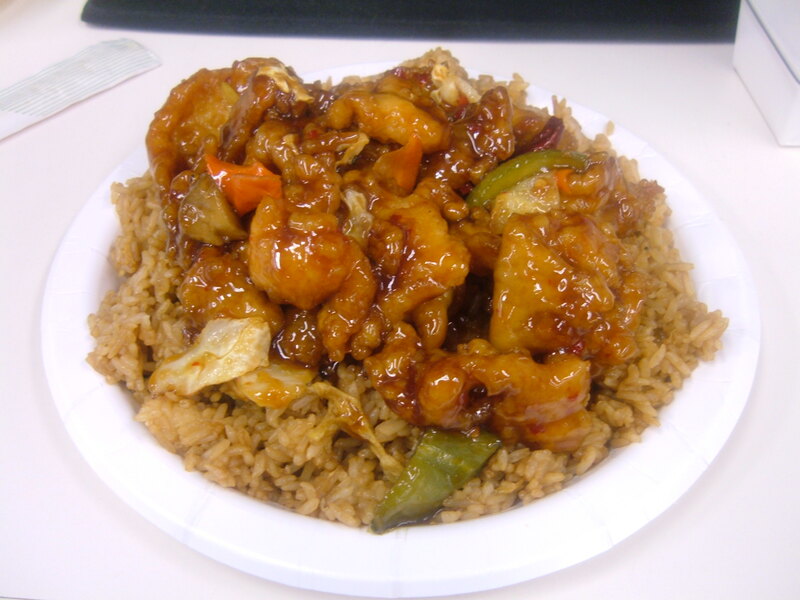 After Zach at Midtown Lunch tested out China Gourmet’s General Tso’s on my recommendation, I decided to follow suit, trying one of his readers picks, BOS & Lucky Sunday. As soon as I removed the tiny container from the paper delivery bag, I knew this was trouble. It doesn’t look awful, but looks were deceiving. And don’t even get me started on the dumplings. 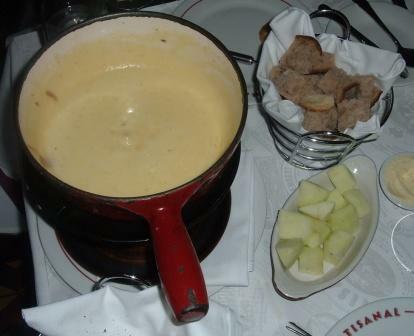 I humbly throw myself before my loyal readers and admit that before Monday night I, NYC Food Guy, had never eaten cheese fondue. But now, thanks or no thanks to Artisanal Bistro, I’m completely bored by the concept of cheese fondue and I’m $67 poorer after eating one of the most mediocre, and as a result, overpriced meals of my life. Find out how a fromagerie can mess up melted cheese as well as what you should avoid at Artisanal, after the break. ***DISCLAIMER*** The review you are about to read is written by King of Ketchup NOT the NYC Food Guy. King of Ketchup is a friend of the site and his opinions do not represent those of NYC Food Guy. As seasoned alcoholics and lovers of everything Szechuan, a few friends and I, King of Ketchup (not NYC Food Guy), decided to check out The Cottage last Friday night — a Chinese restaurant on the UWS that supposedly served unlimited wine with dinner. 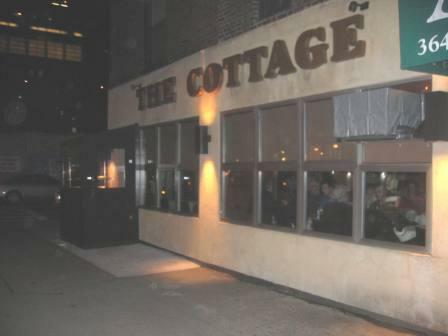 The Cottage (a ridiculous name for a Chinese restaurant) sits at the corner of 77th & Amsterdam, just a few blocks away from another Chinese restaurant with all-you-can-drink wine, Silk Road Palace. I went to “the palace” years ago when I was still underage, but I do recall that the speed and ferocity in which they continued to refill our empty wine glasses was incredible; at no point during the meal did we have fewer than two full carafes of wine on the table. So fast-forward to last Friday night, and let me walk you through the dining experience at the “other” all-you-can-drink wine restaurant, The Cottage. NYC Food Guy felt like a matador while walking around Times Square Saturday night, dodging hoards of stampeding tourists blinded by the flashing red lights of NYC. I was only in the area by pure necessity, scheduled to work at my real job; no self respecting New Yorker would venture to these parts in December. NYC Food Guy was feeling perturbed enough to not make the 3 block “trek” to Lenny’s for a sandwich to accompany my Katz’s chicken soup. Instead, on the recommendation of a co-worker, I went over to Backstage Deli on 49th St. b/t 6th and 7th Ave. (next door to Bella Napoli) where I had one of the worst sandwiches of my life. That orange, yellow stuff in the middle, that’s actually lettuce & Russian.